Up for grabs is a stack of these lovely pale-yellow/orange handmade (by me!!) 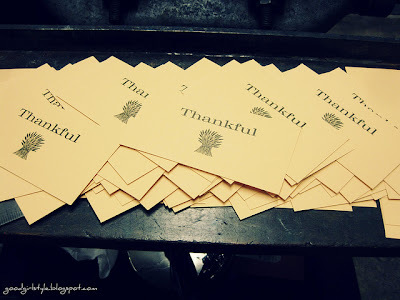 "Thankful" cards. I envision placing them on each plate at the Thanksgiving table. The backs are empty, so you can either write something about each recipient that you are thankful for, or have everyone write something they are thankful on the back and put them all in a big pot. Then take turns guessing who wrote it! Tie them on presents, slip them under doors, leave them under windshield wipers...No matter how you use them, they're classy and cute at the same time. And did I mention handmade? I made these on an authentic antique letterpress, and I just have to share them. Don't worry, they'll come packaged with an extra goodie or two, hopefully in time for your Thanksgiving festivities. Since this is my first giveaway, and it's small, it's casual. To enter, leave me a comment. If you want an extra entry, follow my blog by clicking "Join This Site" on the right-hand side. Only two entries each, please! And share the news! Giveaway ends Friday night at midnight so I can send them to you in time for Thanksgiving! 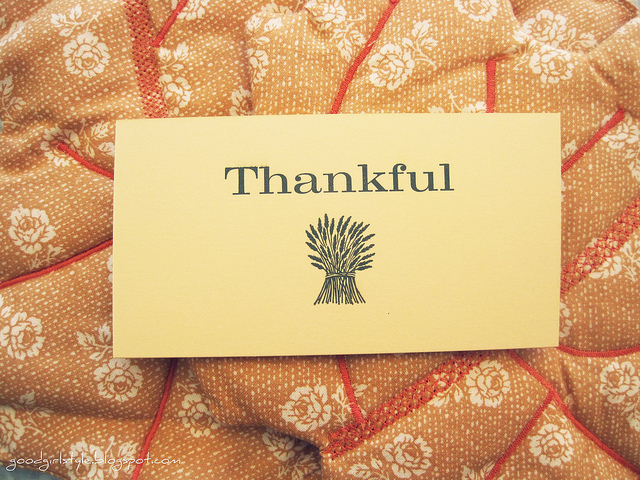 And I just wanted to say: I am thankful for YOU, dear reader. Thanks for reading, for your kind comments, your friendship, and for being awesome. Ya!! I love these Natalie :) I would be sooo thankful to win them! Gorgeous! Another beautiful letter press creation! 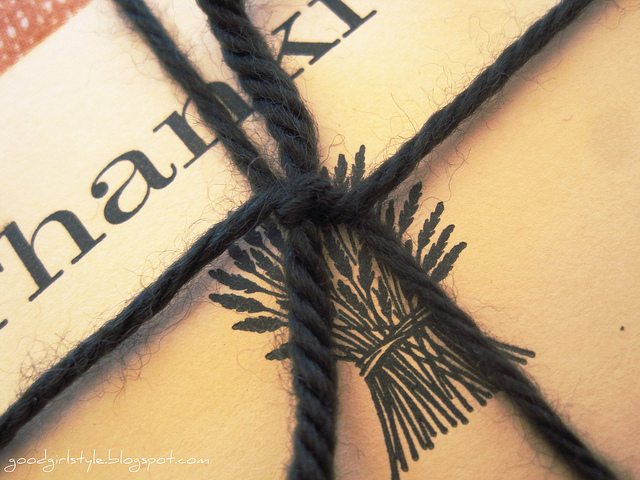 I love your ideas for sharing the things you are thankful for over Thanksgiving. woo hoo!!! I really like them!!! Those are so lovely! Did you make them in your letterpress class? Love them (a typical perfect Natalie creation!) -A.T. Girl..you blow me away. Gorgeous!! And so STINKING creative!!! And not only did you get an idea but you executed it BEAUTIFULLY!!! WAY TO GO!!! Oh, those are just lovely!! We have an antique press as well, but have never put it to good use. I think perhaps it's time.